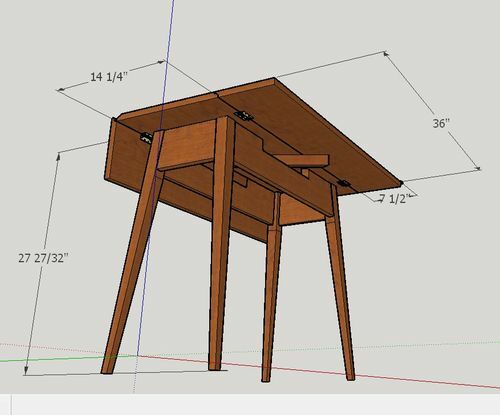 Looking for some inspiration, I saw a table like this on pinterest as a Cherry Shaker style drop leaf table. 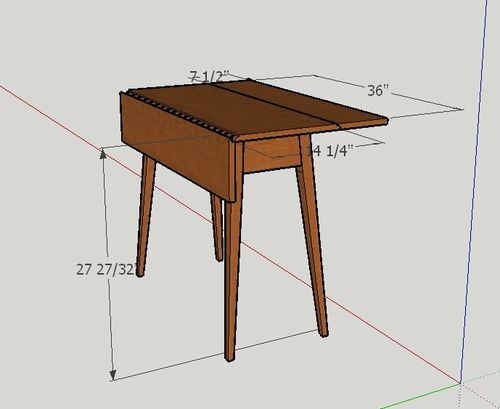 It gave me a few general sizes so I turned to SketchUp and worked out the details. I made mine out of QSWO and added a couple of drawers on both ends for my wife to put her “stuff” in. I finished it off with 3 coats of tongue oil. It turned out real good and I made a few brownie points with the wife. Thanks for taking a look. That is one beautiful table, Steve!!!!!!!!!!! Bravo, very well done, beautiful wood too. really really beautiful! absolute classic, well done! Very nice work. Especially like the drawer. Very beautifully done, Thanks for the tips and for sharing. Very nice for sure. The drawer sets it off. Steve, another very classic and classy project. Rule joints aren’t easy and you nailed yours. Well done, sir! Nice job finding something you liked and making it your own. 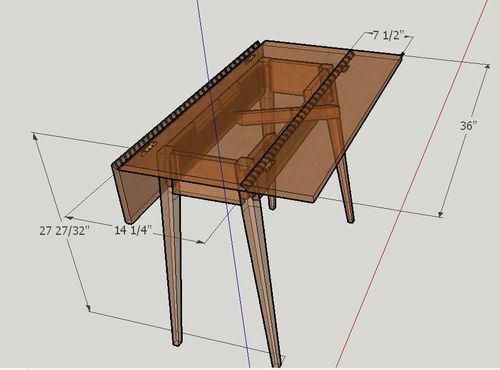 Great looking table Steve ! Gorgeous, very elegant. I can see why you earned some brownie points with the wife. I especially like the unique dovetails on the drawers. You have done a beautiful job on this drop leaf table. The other pieces are also very nice, Congratulations! This is a really nice table! My wife found one in a second hand store and reconditioned it. I really like the drop leaf style! Tremendous job on this table. I love the wood selection.